Hi all. 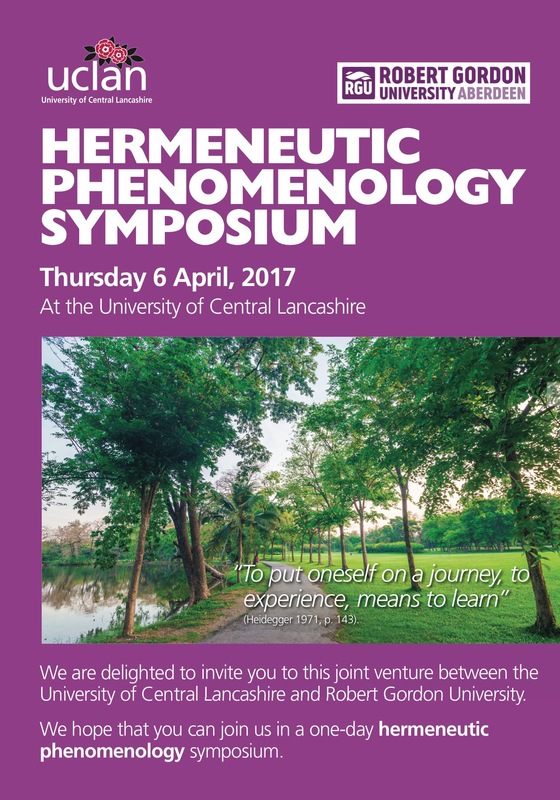 Dr Gill Thomson and I have finalised the program for the 4th day of a hermeneutic Phenomenology methodology course (see previous blog). The 4th day is an exciting and inspiring symposium open to all. 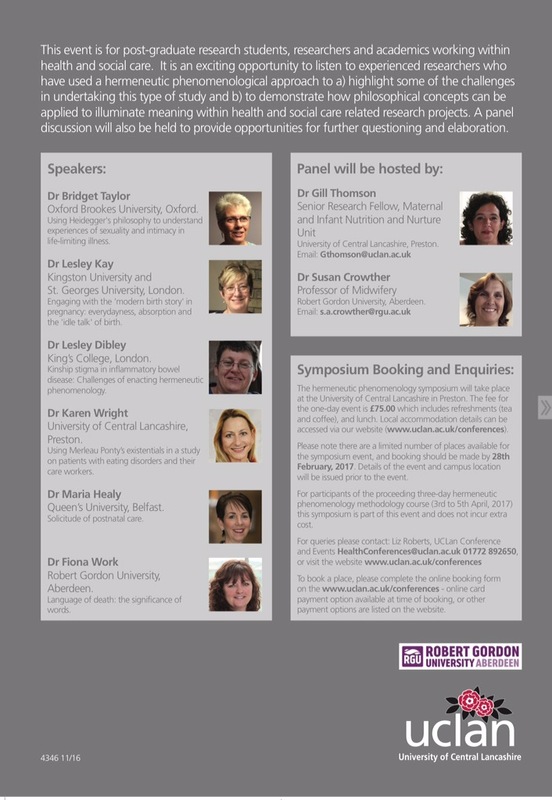 So even if you cannot join us for the week come along for the symposium. Attached is information to wet your interpretive appetites. A great line up of hermeneutic phenomenological scholars. See you there for a day of dialogue! Looking forward to a feast of thinking! Things are certainly not as straight forward as we would often believe them to be as Lynn’s story narrates. I am now dwelling amongst pages upon pages of post doc gathered data. The data is brimming with stories of maternity care lived experienced descriptions from a wonderful host of participants as the one above. I am always bemused and delighted when I come to the part of qualitative research that involves ‘letting arrive what needs to arrive’ from the data. Amidst the seemingly overwhelming complexity of life rendered in these gifted stories are the shared meanings that gesture towards our together humanness! 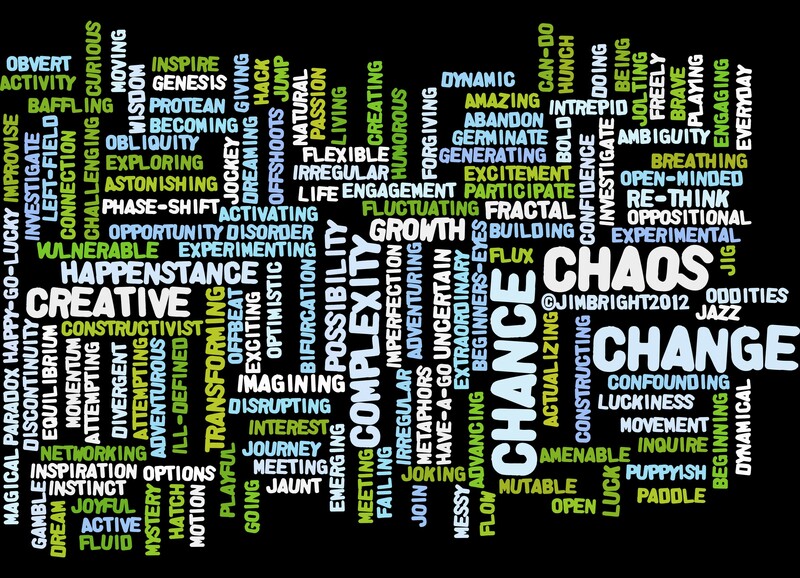 In this is the possibility of transformative understandings and how to go forward. At the end of day I’m a swirling energy of interpretive images and words punctuated by my exclamations of “yes”, “perhaps”, “oh I feel that”,” I see what that means”, “where is my note pad and pen” “oh wait there is more”. No-one warns one of the insomnia that can plague a qualitative researcher once immersed in stories about life. To be fully engrossed in the process is to be witness to the Dionysian possibility of ceaseless convergence and divergence. It is to find oneself in Kairos time when fixed notions of the “final answers, solutions and conclusions” find no resting place. There never seems a ‘right’ time to stop for the day – nor is there a moment when interpretation is complete! I find it liberating and freeing not to have it wrapped up and formulaic. To be released from the need to have the final word on any phenomenon is absurd yet funded research demands the ‘output’. The often spoken secret between us Hermeneutic phenomenologists is knowing there never will be one definitive conclusion; there will always be ‘on-the-way’ findings ‘that satisfies’ the funding agency and those that accept your work for publication. I say secret because however many times I say that this type of ontological work bellies any finality I’m repeatedly asked “so what was your final conclusion?” – I smile, “There simply is no ending to the process of life”. Maternity care provision in the remote regions of New Zealand is a tale of paradoxical tensions. This tension is between the need to let go into the uncharted yet inspiring territory of what may lay beyond the imagination of our own experiences while taking heed to the Apollonian structured world of the modern maternity systems when ‘things’ are made controllable, timed, charted, documented, where protocols and guidelines dominate and attempt to construct and hold that world together. There is the nearness of being home and feeling safe and fear when one is far from the highly structured world of medical help when needed. Rural living tells a story of being on the edge and outside of that controlled environment of the 21st century maternity hospital. I see and ‘feel’ hard working down-to-earth pioneer types living frontier lives in these remote regions. People dealing with the challenges of isolation and close community; of scenic places that are often holiday destinations for many of us yet are the homes and birth places of many. I will not speak in this blog entry further on the findings for that will come later, I promise! For now I am intrigued about the paradox as stated above. The birth experience uncovers a drawing near of divinity that puts us face to face with Otto’s holy-other as Dionysus the ecstatic liberator from worldly concerns “… something that captivates and transports … with a strange ravishment, rising often enough to the pitch of dizzy intoxication…” (Otto, 1917/1923, p. 31). I am reminded of the lovely madness just after many births when everyone is intoxicated, fascinated and enchanted. Something enchanting is experienced that can be a moment of transformation; a moment in which we find ourselves able to go forward into new understandings. As soon as baby came the father held his son up to the night sky offering an Islamic prayer, all the hairs on the back of my neck stood up. This was a holy moment, I continued to attend to the mother yet there was such a presence that touched and thrilled me to tears. [Field notes 2011]. The mood of the Apollonian thinking that comprises systems, measures and to do lists would appear at odds with this intoxicating freedom. Yet that is not what I argue. 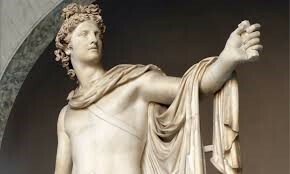 Both the Apollonian and Dionysian ways of attuning speak to us as humans. Actions in the remote regions to secure safety and positive outcomes require planned actions, sharpened clinical decision making and critical thinking. A recent heated discussion on social media concerning midwives and promotion of normal birth provoked condemnation from some quarters. Again the splitting of ways in the normal vs abnormal debate bears no useful long term fruit. What is important is acknowledging and appreciating that we are always somehow in the dance of the Dionysian and Apollonian paradox. Statistics at times can be used as weapons to prove “being right” and held up to be the sole voice of reason. Conversely an emotional charged flow of words can imply “rightness” – yet this ‘feeling’ contribution to the debate can be accused of being chaotic, unreasoned and therefore less valued. Both however can come at us like arrows of righteousness and strike us wherever we are situated. To dichotomise appears to be the domain of inflexible thinking that seeks rightness and disregard of the other. Likewise I am finding once again that the research project (whatever it may be) requires a Dionysian openness and flexibility. At the same time I need to pay attention to the more Apollonian disciplined processes such as the ethics procedures, funding applications, attention to literature (yes -quantitative and qualitative) and the academic restraint on styles of writing. It is in a sense a dance in Rumi’s field. It is neither this nor that, not a wrong way or a right way it is always dialectic, constantly both, one within the other…that is the tension. Lynn had planned on a facility birth yet had her baby at home by the warmth of her own fire after a cup of tea with her husband and the local rural midwives. The snow storm and the worrisome distance from hospitals and secondary services lie beyond this tender scene. The story reveals qualities of relationships, trust, surrender and feeling safe. Life is always far more than we can predict and order. For me it is about letting go of being right OR wrong and enjoying the fun of being finite in a universe of infinite possibilities that confound us! 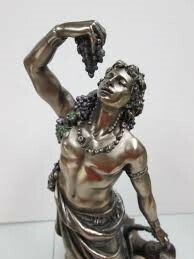 Befriend your Dionysian and Apollonian qualities.